Home General What is Revenue Performance Management and is it Here to Stay? What is Revenue Performance Management and is it Here to Stay? 8 years ago by Lauren Carlson Comments Off on What is Revenue Performance Management and is it Here to Stay? In the world of enterprise software, we just love three-letter acronyms. The latest one of note is RPM or Revenue Performance Management. RPM refers to a strategy that goes beyond automating marketing campaigns to managing visibility into revenue and ultimately growing revenue faster and more effectively. Sounds pretty good. 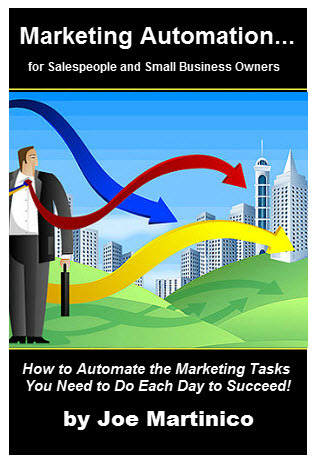 It also sounds like something I’ve heard of before – marketing automation. Marketing automation has allowed marketers to measure the response to a campaign, helping justify current and future campaign investments. And it’s provided better insight into prospect behavior so marketing and sales can engage the customer base more effectively. But RPM goes further by using this data to determine the ways marketing and sales’ activities affect revenue. With its layer of revenue analytics, RPM gives insight into what’s driving or impeding revenue so adjustments can be made and ROI improved accordingly. Gain attention from the real decision-makers (C-level executives) who lead the projects and hold the wallet. 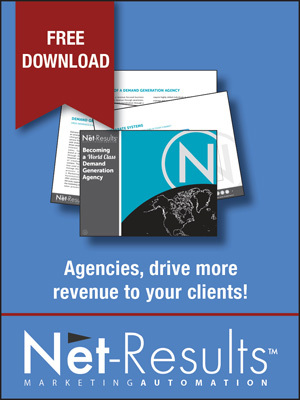 Lauren Carlson over at MASG provides a own comprehensive analysis that can be found here: http://www.marketingautomationsoftware.com/blog/revenue-performance-management-rpm-the-next-great-enterprise-acronym-1040711/. A more high-level overview is provided below. The marketing automation market has been growing quite rapidly over the last few years. There are stand-out leaders such as Eloqua and Marketo, but new entrants are appearing regularly and vying for market share. However, the majority of leading products mirror each other in core functionality. Supported by growing R&D budgets and with pressure from larger enterprise organizations, these leaders have invested in more sophisticated analytics and data integration for their systems. This added functionality provides the user with a more holistic view of the revenue cycle so they can see what is working and what is not. From there, they can use the traditional tools in marketing automation to take action. Marketers are traditionally viewed as the creative types, with strong left-brain orientation. While RPM is a set of functions, it is even more so a strategy that requires a level of analytical capabilities common with the right-brain oriented. Marketo and Eloqua realize this and are investing a pretty penny in helping marketers execute on this cross-functional level. They are teaching marketers to adopt more quantitative measures, which helps them to prove their accountability to C-level execs. Armed with this information, marketers will gain more funding and, more importantly, more respect from the higher-ups. Since we are on the subject of C-level execs, let’s discuss the appeal that RPM holds for them – REVENUE. Marketing automation software is seen as the marketer’s domain, but revenue, performance and management are all things that execs can get behind. The CFO is not concerened with campaign management and lead scoring. What she is concerned with is moving the needle on revenue. That is what RPM aims to do. Now you have her attention. Now she is ready to pull out the check book. And the vendors that get these checks will be the ones that rise up above their competition. These are all interesting points to discuss, but RPM is still in a very nascent state. It will be interesting to see how it develops. Will it be the next big enterprise TLA? Or will it be swallowed up by an existing giant like CRM? At this point, it’s hard to say, but it will be interesting to watch.